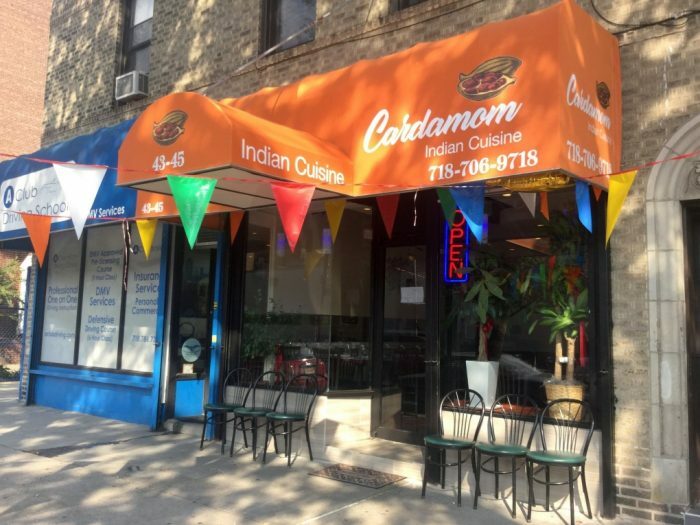 A new Indian restaurant that offers traditional Indian food opened its doors in Sunnyside earlier this month. Cardamom, located at 43-45 43rd St., is run by Jackson Heights resident and chef Alwyn Gudhino, who decided to open his first restaurant after working at several Manhattan eateries for decades. “I have worked in many renowned kitchens throughout Manhattan, including Bricklane Curry House in the East Village; Utsav by Rockefeller Center; and Nirvana near the Chrysler Building,” Gudhino shared. Gudhimo said that his love for cooking began when he was a child in western India, while poking around his grandmother’s kitchen. “It was there that I learned the art of Goan cooking. Those skills that were instilled in me by my mother and grandmother led me to attend 2 years of culinary school, before working on several cruise lines in the Caribbean before arriving in New York City,” he said. 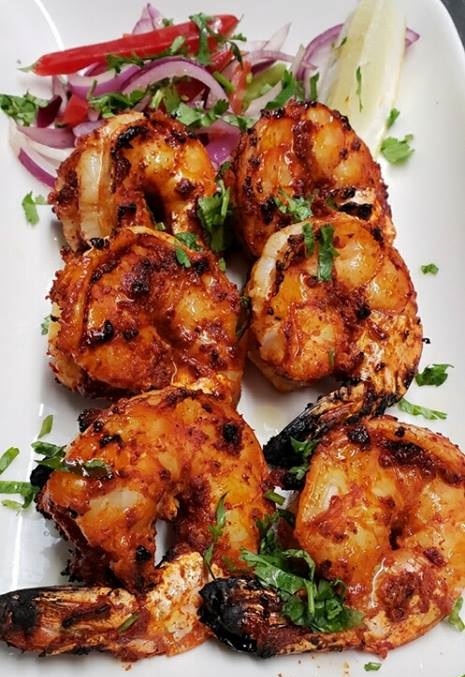 The restaurant serves many dishes that come from the Goan region of India, including Vindaloo, Xacutti (a curry meal cooked with fresh coconut and a carefully prepared blend of spices), Balchao (shrimp appetizer) and his specialty dish, Goan Tandoori Shrimp cooked in a clay oven. 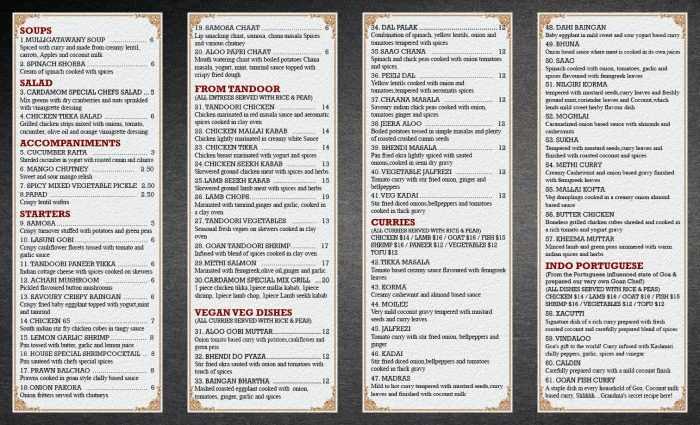 The restaurant’s full menu features more than a dozen vegan options, and over 20 different combinations of meat, rice and bread. 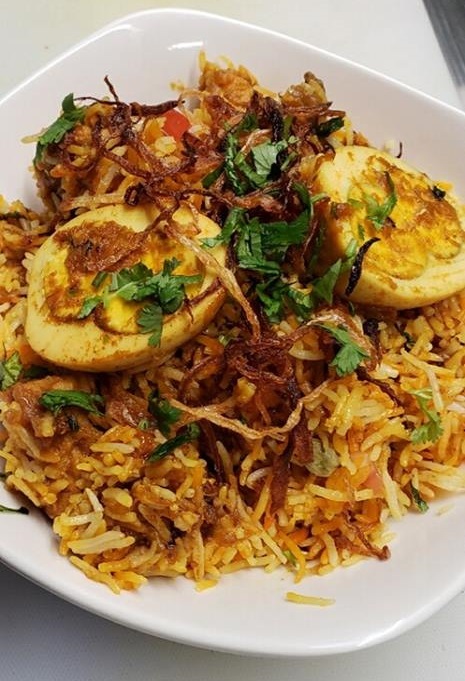 Traditional meals such as chicken tikka masala, goat/lamb curry, and tandoori are also available. Patrons can also order a $14 special for takeout or delivery that includes one appetizer, one main course, one house dessert, naan bread and rice, from noon until closing. Desserts such as “Vadilal” ice cream, which is specially imported from India, are available during both lunch and dinner hours. Cardamom, which has about 30 seats, will be one of many restaurants that will participate in Sunnyside Shines’ Restaurant Week from Sept. 23 to Sept. 29, where each diner can receive a three course meal for $25. The establishment is BYOB, but a full bar is expected to open once the state signs off on its liquor license. Regular hours of operation are from noon to 10:30 p.m. seven days a week. 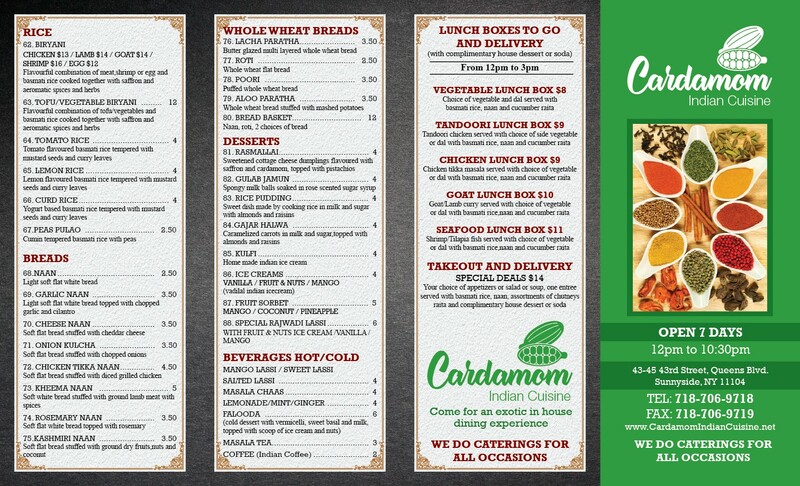 Delivery is available from noon to 10:15 p.m. daily by calling (718) 706-9718. See below for the full menu. Excellent food though pricey and the setting is pleasant. Nice selection and I hope others give it a try. Ordered take-out this weekend. Food was good. Their service was still getting their act straight. A little pricier than most Indian restaurants but didn’t mind because the meals was good. Will likely be a regular patron. The food is really good and the most authentic I’ve had locally. The service was a little spotty the first time we went, but it was their first week. Second time we ordered via Seamless and it did not disappoint. Tofu tikka masala? Yes, please. Looking forward to giving this place a try. Saffron’s owners had good food when they took it over last year, but slowly took out the flavor (i guess for the locals). I hope this place will serve to the south asian taste, I hate weak indian food. We seriously need some good Indian food around here and I hope this place will be it. Most items sound tasty, hopefully I don’t have to go to city for good Indian food anymore. I never saw the old place packed, so good luck to the new owners, either prices need to be really good or food needs to be good. Can’t have mediocre food at city prices per plate. I really want this to be good. Saffron’s new owners did not improve the food.